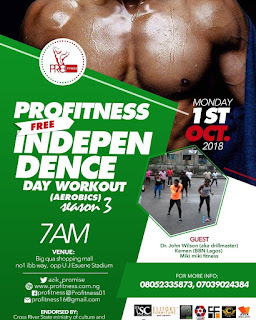 Pro Fitness, a foremost fitness training company is hosting Kemen and others as guests at a special workout session to mark Nigeria’s independence in Calabar on Monday, October 1, 2018. 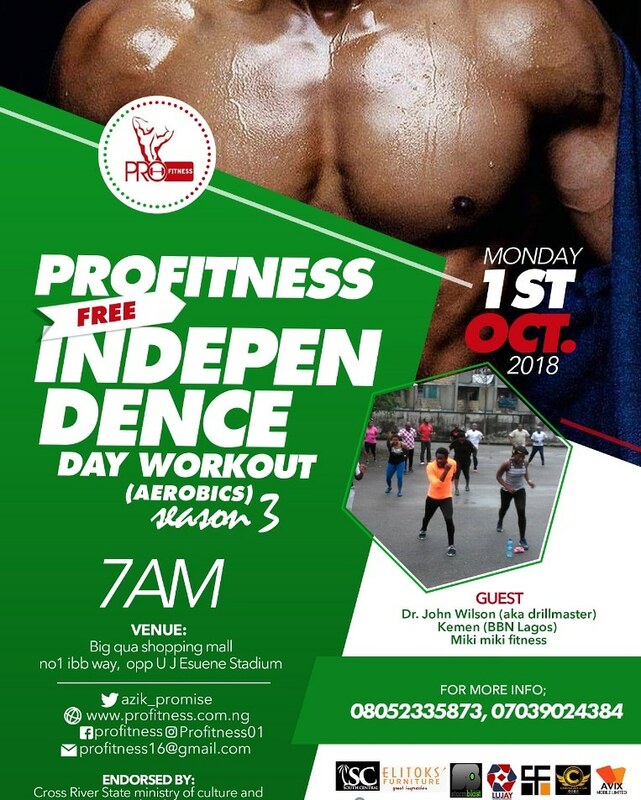 According to the CEO of Pro Fitness, Promise Esua Azik, ‘the initiative is to ensure that Nigerians remain fit and maintain an attitude of keeping fit, while capitalizing on the work free day to engage citizens on a professional aerobics workout session, which is totally free’. Speaking further, Mr Promise said the forum is also born to serve as a platform to unite Cross Riverians and residents of all age, class, ethnic and religious affiliations. The workout session will kick off on Independence Day by 7am at Big Qua Shopping Mall, located on Ibb Way by UJ Esuene Stadium, Calabar, having Kemen of Big Brother Africa, Miki Miki Fitness and Dr. John Wilson a.k.a The Drillmaster make special appearances to charge things up. Indigenes, residents and visitors are hereby invited to be a part of the history, by partaking in the biggest workout session in the paradise city.